Since I have been doing engineering technical design for 28 years, it is important to be accurate with numbers and calculations else bridges collapse and buildings fall over. 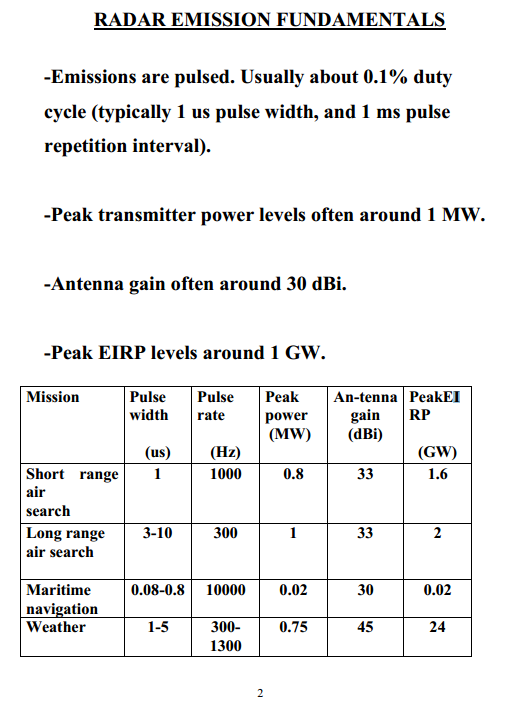 I believe the facts the good colonel is leaving out is that those 1 watt radars are actually high gain (35 dBi) pulsed units with what I believe are peak pulsed power of 1000 watts ea – see linked documents – they typically pulse on for ~1/1000 of each second (so the “average” power is low – 1 watt) and according to the article below can reach 300 miles and jam civilian aircraft. These are NOT EVEN CLOSE to the same power as TV antennas due to the high gain, they are like focused flashlight beams. 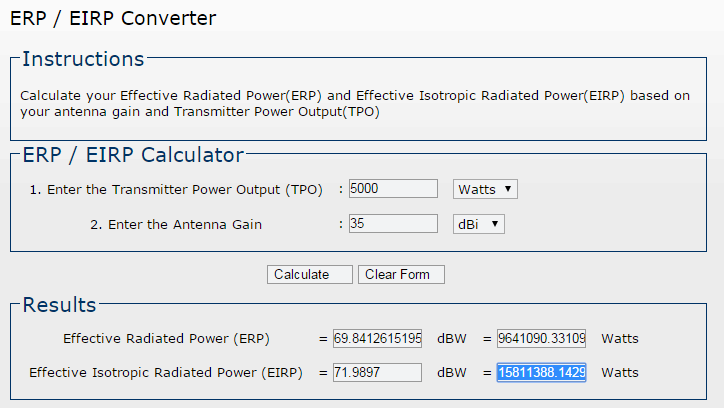 5000 watt overlapping pulsed radars @ gain=35 dBi = 15,811,388 Watts of Effective Isotropic Radiated Power. So 5 overlapping Newport antennas are equivalent to 316 TV Station antennas, which is why the civilian aircraft were jammed from 300 MILES AWAY. I believe it is the 15 million+ EIRP watts of overlapping peak pulsed watts emanating from the Newport antenna facility that is making everybody sick. 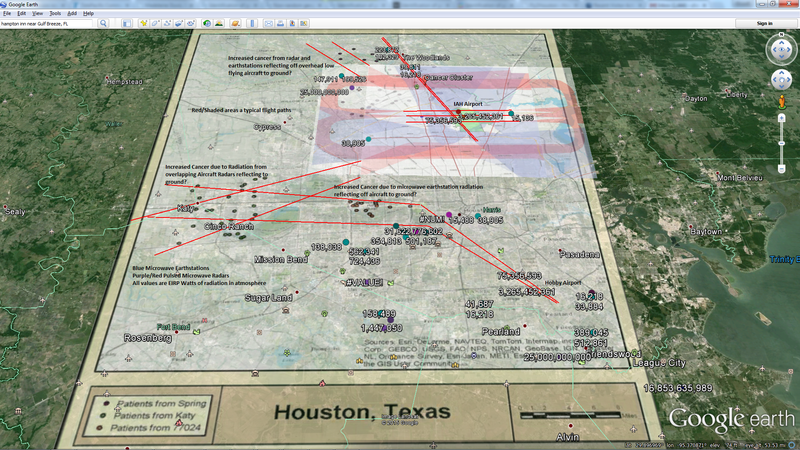 YOU CANNOT JAM A CIVILIAN AIRCRAFT FROM 300 MILES AWAY WITH A 1 WATT ANTENNA. THEY ARE BEING VERY DECEPTIVE AND NOT COMPARING APPLES TO APPLES. Hey guys! I was talking with one of my engineer friends. Ask the Colonel how he gets his antennas, which are a “million times” less powerful than a WiFi router to transmit a few miles across the hilltops in Newport, NY. Because my WiFi router at home barely reaches through the house! Or better yet, ask him how his “million times” less powerful antennas can JAM CIVILIAN AIRCRAFT 300 MILES AWAY because they forgot and left them on for 3 weeks. Quick everyone turn off their WiFi routers! You may be jamming civilian aircraft! WAKE UP! GET REAL! ASK YOUR KID! DOES HE HAVE REAL ESTATE IN THE EVERGLADES HE WANTS TO SELL YOU? 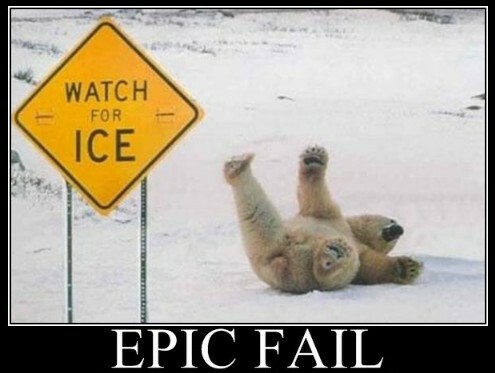 MY 11 YEAR OLD SAYS EPIC FAILURE!